John Young, who introduced the measure, was visibly upset by its failure to pass. Even before the meeting, he vowed to keep fighting to have the resolution – or one similar to it – approved. He said the resolution was not “overtly defiant,” but would route all requests from Immigration and Customs Enforcement, or ICE, agents through the superintendent’s office. It would have also prohibited staff from asking students about their immigration status or about the immigration status of their families. Okay, the resolution would have done two things. First, it would establish a procedure for ICE to employ, and second, it would prohibit staff from asking students about their, and their families, immigration status. Well… that seems completely reasonable. Not kidding. 100% reasonable. We are discussing children here – minors. Surely there should be a standard procedure of who is allowed access to them in school and when. In fact, this makes me wonder how secure these schools are if a procedure as basic as this is not already in place. Can law enforcement just walk into any school, at any time, and approach minors for something they are not even guilty of doing? Because, you know, they are minors. Going through children to reach adults is wrong. It’s also a distasteful and lazy way of doing your job. That specifically is what board member George Evans objected to. He had several concerns about the resolution, not least of which it would place district staff and administrators “in the line of fire” by asking them to deny requests made by federal agents. “In the line of fire” strikes me as a ridiculous statement. Again, why isn’t a procedure for this in place already? And no one is denying agents access. They are simply asking them to go to one place, the superintendent’s office, to make their request to see a student. That’s beyond reasonable. Handling, and keeping track of this data, at one location is a no brainer. How does this work now? Do schools share this info with District? Is there a central file kept? This really makes a parent wonder. Who exactly is the school allowing access to? Is it only ICE? Doubtful – since there doesn’t seem to be a central procedure in place, or they could have just piggy-backed this onto existing protocol. Guess it just depends on the school and who’s sitting in the main office. And then there’s this gem of a statement: “It takes a position to present a demand or obstacles to federal officials who may want to take some action either at a school or something along those lines.” Demand or obstacles = contacting the superintendent’s office. I still can’t believe this isn’t standard operating procedure. It’s so… basic. These ICE requests should be directed to one place and the superintendent’s office seems the logical choice. Why should teachers and school administrators be involved in this? Do they, at least, have a procedure? Is it uniform across all schools? Censorship? This guy brings on the drama. Why would a staff member ask a minor about their families immigration status? If a child volunteers that information, that’s one thing, but to question a child about this crosses every line of decency. This is not the job of teachers/school staff. And any teacher/school staff asking this question – and playing ICE officer for a day – should be fired. Let me be clear. There’s a difference between knowing the immigration status of a child due to a personal relationship and flat out asking a child, “What’s your immigration status?” The latter is used for what? Dropping a dime on a child? And if we follow Mr. Evans’ logic about censorship then that opens a whole can of worms. Can a teacher/staff member ask a child about their religion? If their parents are LGBTQ? If they’re adopted? How much money their parents make? Have their parents ever been convicted of a crime? Why not? I mean, if censorship is George Evans’ concern then that opens up all sorts of conversations. If I were you, I’d be calling the district today and finding out exactly what procedures are in place for teacher/staff conversations and how access to your child – by anyone – is handled. Because it sounds like there isn’t a chain of command. Remember, we’re talking about gaining access to adults through children. CSD board members who voted against this measure should be ashamed of themselves. Schools should be a safe place for children. What’s next? ICE agents and over-zealous teachers/school staff trailing children home? Given Evans’ statements, I wouldn’t put it past them. He’ll cite “Freedom of Movement” granted by Privileges and Immunities Clause of the United States Constitution. Here’s the deal: If you can’t do your job without involving children then you’re probably bad at your job. Sorry, but you never go after children. That’s my cardinal rule. I think what bothers me the most about this whole fiasco is that it was introduced UNDER the current immigration umbrella, when in fact it is as you stated – a much broader issue. How is FERPA interpreted and enforced in Christina School District? So many implications for abuse here . . . just define FERPA and explain how it is enforcement by Christina School District and that may shed more light on what language needs to be added, if any. Does each individual school enforce FERPA or is everyone routed to the Superintendent’s office as the central enforcer of this law. Plyler v. Doe has already addressed the basic education right of children. Agreed. What’s bothering me is how ICE could enter a school and do their thing without the superintendent/district office being notified. That just seems so basic. How would that procedure interfere with ICE? Surely the ICE paperwork already exists before they enter a school? An established procedure would benefit everyone. It would put everyone on the same page. I do not want teachers or school staff handling a situation differently. You’d think school districts wouldn’t want that either. Safety reasons spring to mind. Agreed superintendent/district office contact only is a no-brainer. From reading what each board member said, I think that clarification is needed so that teachers and administrators know what to do if ICE should contact them. Clearly, in today’s atmosphere there is a great possibility of ICE interference into our public school system. Clarifying Christina’s enforcement of FERPA and simply making this enforcement at the Superintendent level ONLY is one means of eliminating some of the concerns of the Board Members. 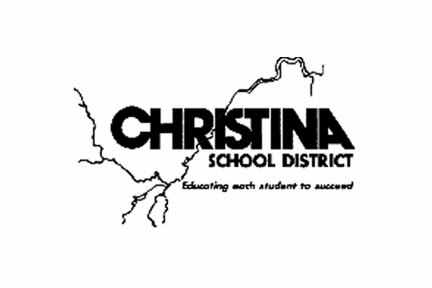 It is my opinion that this has a lot to do with the possibility of district officials unintentionally breaking the FERPA law by sharing information, than with the unlikelihood of widespread conspiracy to deport Christina students. That there is total lack of such language in the Christina District concerns me much more than this resolution. Why not clarify FERPA and use this as a means to bridge the gap in preparedness and knowledge as to what protocol should be followed in the event ICE contact arises and protect the SAFETY of all of our children while in school. Yep, yep, yep. The safety of all our children is the issue. The concern is that a uniform procedure for this apparently doesn’t exist. Was everyone just flying by the seat of their pants? Making it up as they went along? I’m bringing it back as a policy read. John, is there a procedure in place for ICE “visits”? I mean, if they don’t have to go through the superintendent’s office, how does it work now? Pandora, there is an internal memo (ICE) that dissuades them from using particular venues for enforcement actions and school are on that list….but that’s not the real reason for the sanctuary designation: it’s to provide comfort to those afraid it will happen by declaring that schools are here for their learning and are protected as such by Plyler v Doe (1982). I am disappointed in the vote, but I will persist until we get language that is declarative and unequivocal in its support for our students and the sanctity of our schools as places of learning, safe from federal immigration raids and in support of their SCOTUS protected right to attend public schools under the 14th Amendment right to equal protection under the law.